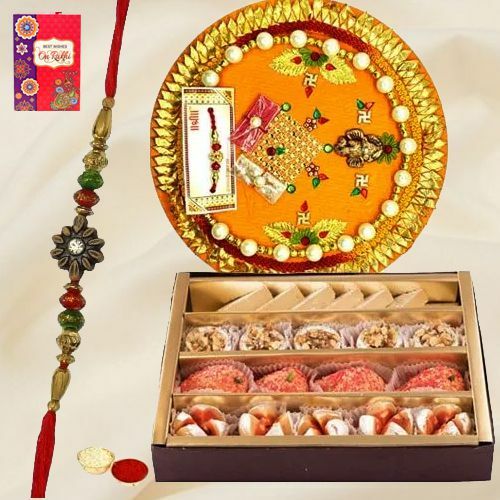 The sacred bond of love will get stronger with this gift of Delicious Assorted Haldiram and Decorative Rakhi Thali that comes along with a free Rakhi, Roli Tilak and Chawal for Raksha Bandhan. This 7-8 inch. Rakhi Thali comes with 250 gm. assorted Sweets from Haldiram.